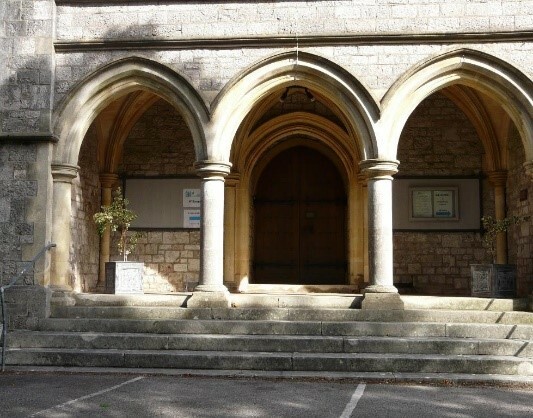 In the heart of Wellswood, St Matthias witnesses to the Wellspring – Jesus – the source of ‘living water’ who invites us into life in all its fullness. But the church as a building plays an important part of that witness too. Over the last 160 years, it has evolved and adapted to meet the needs of the church and wider community including the Church centre complex which many local clubs, schools and groups currently enjoy. Wellspring – when will it happen? After 4 years of planning, in July 2018, we gained the permissions we need to go ahead. The architect is currently working on detailed drawings with a local quantity surveyor and structural engineer, and specialist Heating and lighting advisors so that tenders for the work can be sent out to about 5 local firms just after Christmas. We’re likely to choose one main contractor but there will be many other specialist workers too, for example for the joinery, furniture, glazing, electrical and heating work. The process of drawing up a contract ensures best value for each part and for the whole – and while the early estimate in 2017 for the total cost of Wellspring was about £850,000, we will not know for sure until the tenders come back in late January 2019. Once the PCC (Church Council) have reviewed these documents, with advice from the new ‘REM Group’ (Re-ordering and Maintenance), we hope to be able to say ‘Yes, go ahead’ in early February at that point - if we have enough money! Following advice from a professional fund raiser we are in the process of seeking grant monies. However, at present, we estimate we need at least a further £100,000 by the end of January to go ahead with the internal works, leaving a further £200,000 needed to complete the project. We’ve outgrown the hall for our informal services and now need to use the church for these. To do that we need more flexible seating than the current fixed (and uncomfortable!) pews allow. 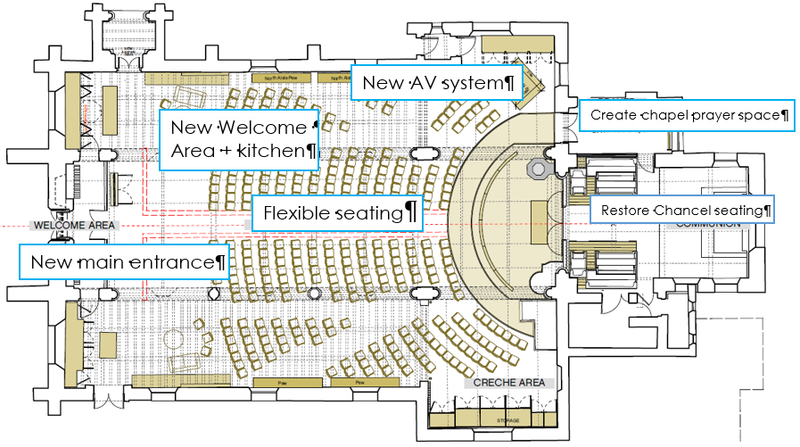 This new flexibility, with the addition of a small kitchenette enables us to have a new large meeting area at the back of church with universal access, and the option of the much larger space of the entire nave available for a whole variety of community uses. We’re also aware that the building looks closed from the outside, is quite dark on the inside and we do not have enough store cupboards. A new look to the main entrances with glazes doors to see into the church and let mere light in, with new signage and plenty of new cupboard space will change all that. We’ve already begun with the installation of a brand new state-of the art audio visual system, and there are other improvements to the chancel and prayer chapel planned. If you’d like to find out more, see here ‘The Story so far’ and Alex Coppock video and there are information boards up in the back of the church (open every morning 10-1230 and on Sunday mornings J ). We’d be grateful for you financial support too. We already £530,000 already available towards an estimated costs of £850,000. Could you play a part in seeing the exciting vision of the Wellspring Project can become a reality? ü Maybe you can give a more substantial amount of money? Details of how to do this – or link to ‘Just giving ‘ page? ü Maybe you could put your small change into one of the special moneyboxes available from the Church office midweek or from the back of church? As you may have heard last week in church, we’ve heard that the Chancellor has given permission to go ahead with our plans for the reordering. You can read his judgement (ie his ‘planning permission’) on the church website – it’s a long document but paragraphs 48, 58, 59 and 60 give a helpful summary of the Chancellor’s conclusions.